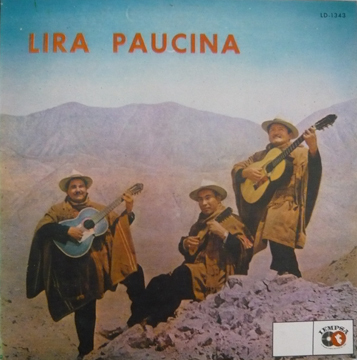 Here on Super Sonido we tend to focus on cumbia and the more costal/tropical sounds from Latin America but in this post I want to shine some light on music from the Andes of Peru, specifically the region my family is from, Ayacucho. Located in the central province of Huamanga is the capital city of Ayacucho. The city is named after the historical Battle of Ayacucho, fought during the Peruvian war of independence from Spain. Upon seeing so many casualties on the battlefield, locals called the area Ayakuchu, aya meaning “dead” and kuchu meaning “corner” in the Quechua language. An appropriate moniker considering it later became the epicenter of the Maoist uprising in the 80’s, led by the rebel group Sendero Luminoso (The Shining Path), an organization that gripped the country for over 20 years. Since the times of the Spanish conquest, death and sadness have been common themes in this region -and nothing reflects this more than the melancholic rythm of la guitarra Ayacuchana. A guitar style so unique, that it is rarely heard in other parts of Peru , much less outside of the country. 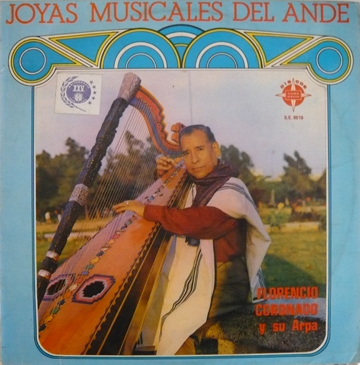 The history of music from Ayacucho would be difficult to cover in one single blog post. It would probably require it’s own separate blog entirely. However, I wanted the opportunity to post some of my own personal videos and tracks – something that I hope will give the listening audience some idea of how this style of music fits into the larger picture of Peruvian popular culture. Perhaps illustrating how prominent the guitar is in Peruvian music, as reflected later in musical genres like Chicha and Cumbia Peruana. In Ayacucho the guitar became the instrument that empitomized that region’s sound. It achieved classical status while reflecting it’s indigenous melodic roots, something that tends to allude other instruments and styles such as Chicha and Cumbia, which are commonly looked down on as low class music. Included in this post are videos that I shot back in 2001 in Huancayo, Peru . They feature my friend and mentor Rudi Felices playing various compositions, one of which he composed. During the war in the 80’s, Rudi was lucky to escape from Ayacucho with his life, he was shot in the arm as he jumped from rooftop to rooftop, escaping the city in the middle of the night. He now lives in Huancayo and works as a math teacher. In the second video clip he goes into some of the history behind one of the classic Ayacuchano songs he refers to as Temple el Diablo, also known as Helme. 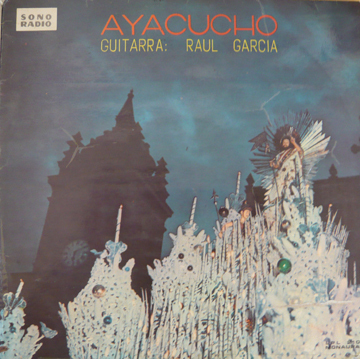 I have also included an MP3 version* played by the undisputed king of the guitarra Ayacuchana Raul Garcia Zarate. As the story goes, the song was written by a guy named Helme, who after finding his woman with another man, killed them both in a fit of rage and ate their hearts. In his depression, he called upon a famous quenista (flute player) and asks him to teach him a type of playing called Manchay Puito, which is the saddest music known to man; Sadder even than another style called “Yaravi”. He then began to play this music as punishment for the crime he had committed. It’s widely believed that if you play this style of music long enough it will drive you to suicide. ENJOY!!!! Thanks Eamon – Awesome post!!! Right on Franko, big ups to Super Sonido for making it happen! disfrutando de la música en el trabajo! excelente post. Thanks for the informative post and website boys. Stay tuned for my next Super Sonido entry on Huayno!!! finally got a chance to sit down and watch these videos(unemployed)! Beautiful!